Movie tie-ins are nothing new in mobile gaming, but to the best of our knowledge Chipotle Scarecrow represents the first attempt by a grillhouse to muscle in on the mobile scene to deliver its marketing message. In this game from the Chipotle Mexican Grill chain the message is clear: additives are bad, Chipotle is good, eat Chipotle. In gaming terms, this translates to you assuming control of a scarecrow attempting to rid a city from the overbearing presence of Crow Foods: a mass-production, additive-addicted food conglomerate ruining the world with its artificially-enhanced produce. To do this you use your device's tilt controls to steer the scarecrow around a series of environments. You start off in a factory where you'll need to guide him around various traps and platforms, using buttons to slow down the action or just open up new pathways ahead. There's some inventive platforming design here, but it often asks far too much of the sluggish tilt controls during the later stages. Once you've worked your way through the factory stages, you'll have to herd animals towards safety, grow crops by frantically running over the correct areas, then finally serve up the finished product to hungry customers. These events all add some much-needed variety after the repetition of the factory work, although they're a bit of a mixed bag when it comes to the quality of execution. 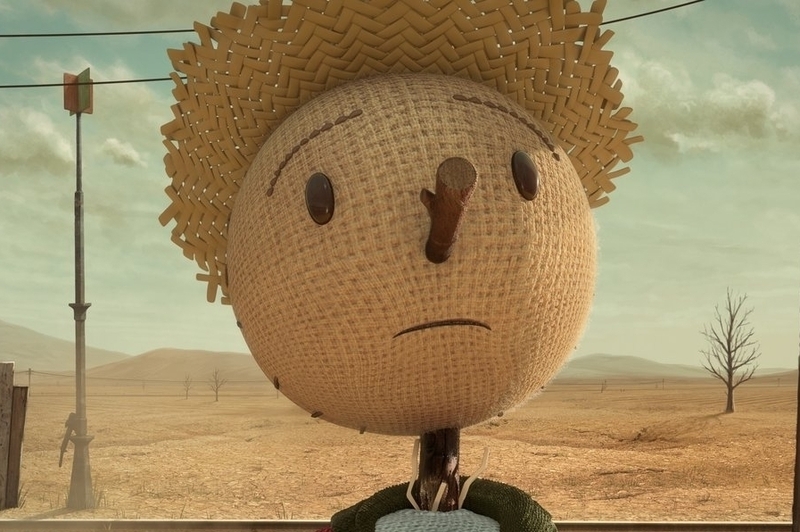 Chipotle Scarecrow looks great, plays alright once you've mastered the tilt controls, but ultimately does very little to grab your attention for long. The controls can be very frustrating, and the message underpinning the game is delivered with sledgehammer subtlety. It may not be the worst game-disguised-as-marketing-message we've ever played, but it will leave you hungry for something just a little more substantial. 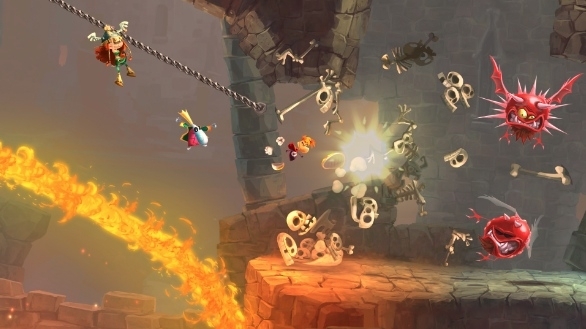 What's Hot:A great-looking game with a message, and some clever platforming ideas. What's Not:Frequently frustrating tilt controls really detract from the game's achievements elsewhere.